It’s getting hard to keep track of all the new games arriving at Cryptoslots, a cryptocurrency casino created by Slotland. Hot on the heels of the launch of the Blazing Wilds slot early this month comes the new Deep Blue slot. 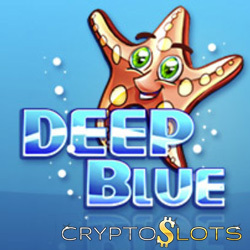 For a week, Cryptoslots is giving players up to 37% extra on their deposits to give extra play time in the new undersea playground.